This summer has been so busy for me and my family. Every day has been filled with summer activities that keep us busy, busy, busy. And, swimming is definitely one of them. 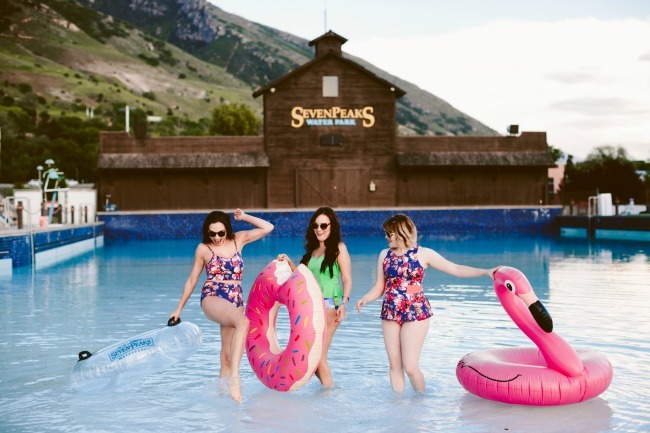 Whether we are at our local recreation center, favorite water park, or playing in the sprinklers in our backyard, you can find my kids in their swimsuits at least once a week. And, as much as I'd like to join in on the fun, I've found myself to be very hesitant with when I do and don't wear my own swimsuit because my main focus definitely hasn't been on how to get a perfect swimsuit body. And has instead been on my brand new baby AND getting ready to move into a new house. Which means the only thing my body is really ready to be seen in right now is clothing items that camouflage the 20 extra pounds I'd still love to loose. Not to mention the killer farmer's tan I also have going on. Haha! Recently though, I've decided to follow my own past advice (read here and here) and flaunt my swimsuit body more than once every blue moon. Because in the real world, no body is perfect. We all have flaws and things we wish we could change about our bodies. Especially after just having a baby. And I'm constantly being reminded that I should always treat my body with the love and respect it deserves because it has done and been through some incredible things! 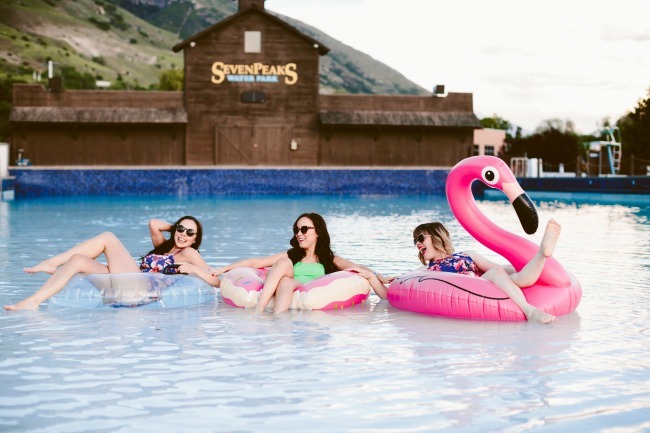 Recently, my dear friend Kim Christenson asked me and our other friends Tara Brooke, Erika Peterson, Emily Smith, and Roxana Baker to create a swimsuit photoshoot that redefined what "Swimsuit Ready" really means (visit their sites to read their thoughts on this and see more pics!). Something I was completely scared to do at first because, like I mentioned HERE, I've recently found myself in a really insecure place with my swimsuit body; constantly wondering how to get a swim suit body back that was "worthy" enough for the upcoming pool season. But, just like anything else in life that scares me, I pushed my way through it. And I'm so glad that I did! By the end of the shoot, I saw my swimsuit body type in a completely different light. And realized that farmer's tan and all, it was beautiful just the way it currently was. Because having the perfect swimsuit body doesn't mean how tanned, toned, or skinny your body may look. Instead, having the perfect swimsuit ready body is all about how you feel inside. Sure, there will always be improvements we think we need to make on our body image. But I've learned that if I focus on being confident in who I am and loving my body through all of its highs and lows, I will forever be swimsuit ready this summer and you will too! P.S. my swimsuit is from Kortni Jeane. Silver minimalist necklace here. If you follow me on snapchat (if you're new to it, I'm themumsyblog on it) then you've seen me talk about the Mommy Must-haves giveaway I'm doing on my Instagram. 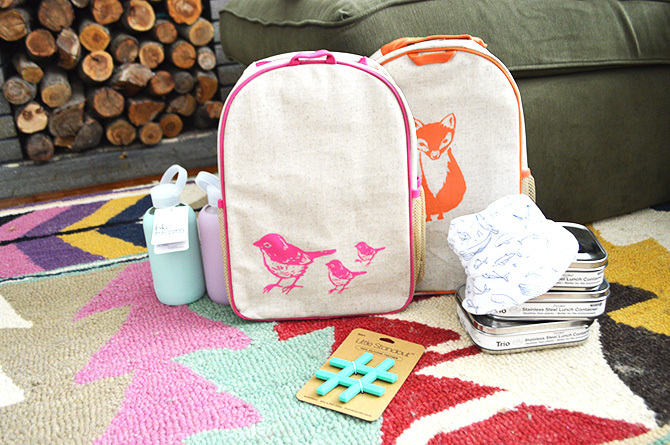 One of the items included in that giveaway is a Fawn Design diaper bag. Which I absolutely love! 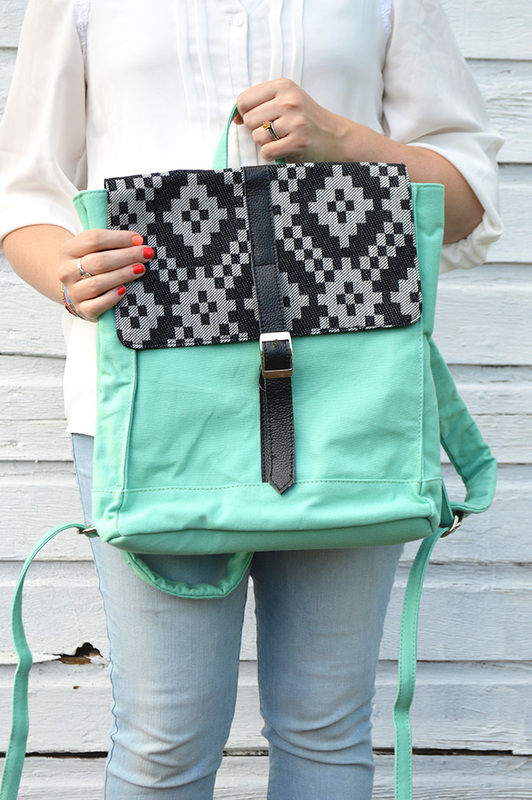 Especially because it meets all the criteria for what a diaper bag should really have. And believe it or not, that is something that's really hard to come by. 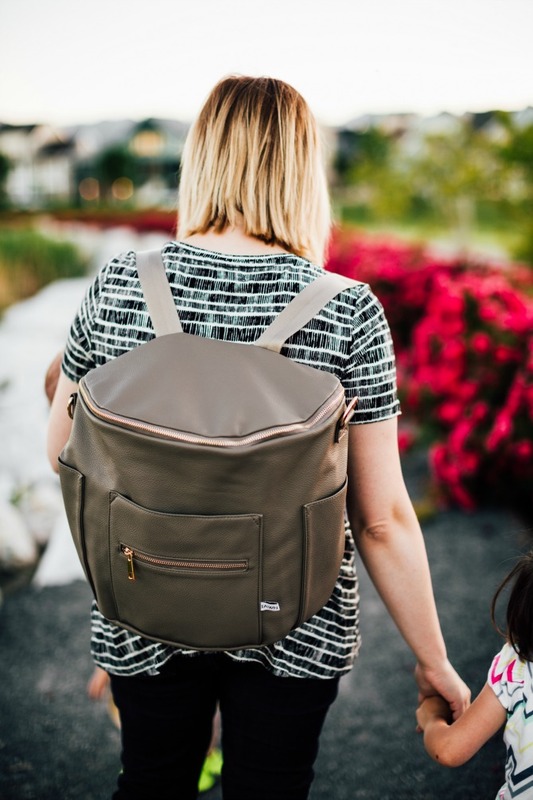 For some reason, I have found that choosing the best diaper bag can be quite the challenge. Anyone else feels this way? Since becoming a mom, I have been through six diaper bags. No joke! 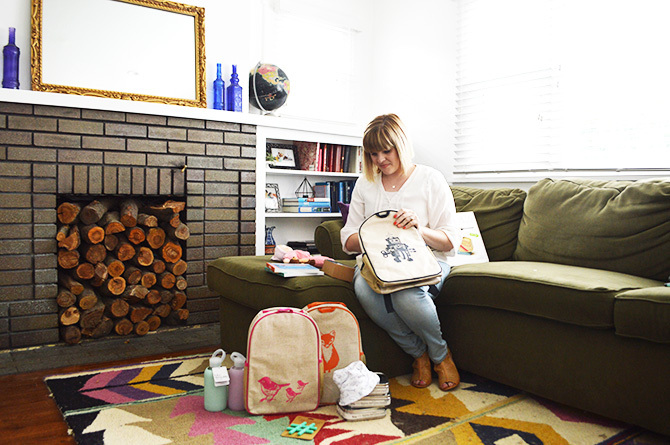 But during my pregnancy with Benson, I discovered Fawn Design and knew it was the perfect diaper bag for me. A true match made in Heaven. Haha! 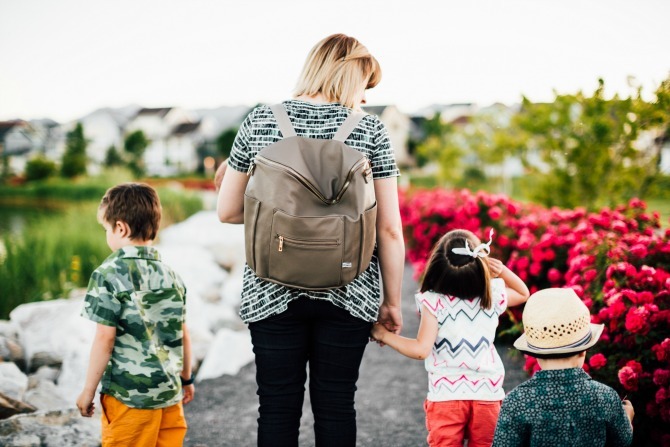 Having an amazing diaper bag really has made a world of difference for me when I go on outings with my kids. Saving my sleep deprived brain from worrying about where things are and whether or not it could keep up with my crazy life. 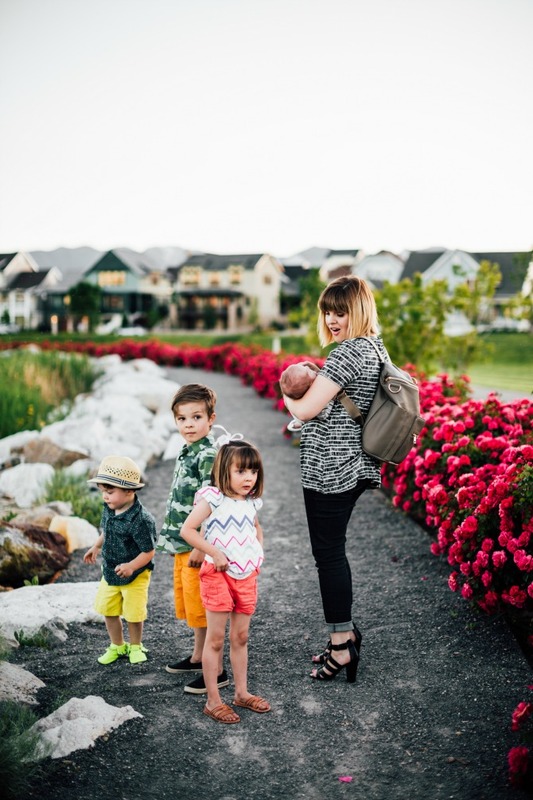 And though choosing the best diaper bag may seem kind of daunting, it really isn't. Especially if you keep in mind what you really want. But in case you don't know what you want, here are my personal guidelines. Believe it or not, diaper bags get really dirty, really quick. So you want to make sure you have a diaper bag made out of fabric both on the inside and out that is easy to wipe. Whether you have just one kid or a baker's dozen, you are going to have a lot of gear. Trust me. And that means you are going to need some good space and a number of compartments to store everything in. So, look for a bag that is fairly deep and has a good amount of pockets and pouches on the outside and inside of your bag. 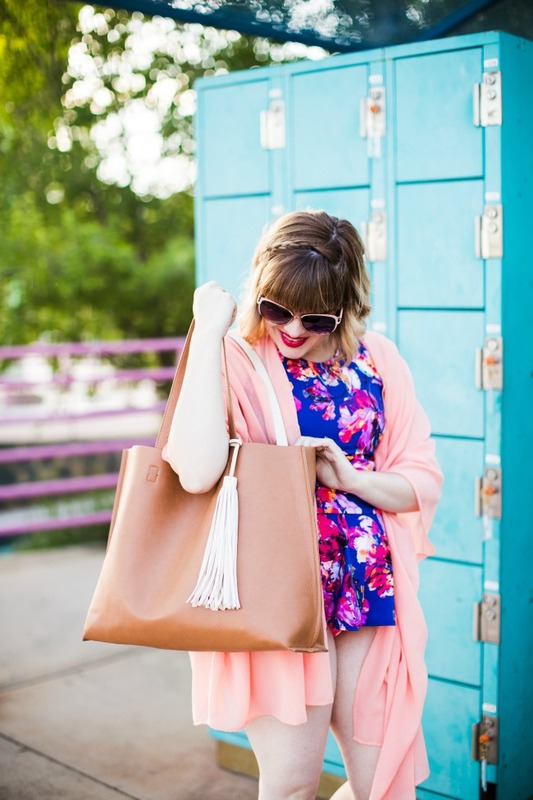 When I purchased my first diaper bag, this key element was way down on the radar for me. All I cared about was how cute the bag was and how much crap it could hold. Haha! 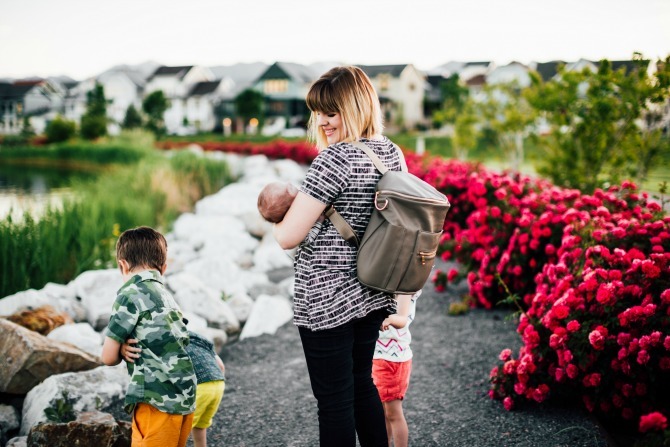 But after having to chase down my kids multiple times and needing full mobility for particularly strenuous mommy tasks, I have learned that this is a huge must when it comes to diaper bags. 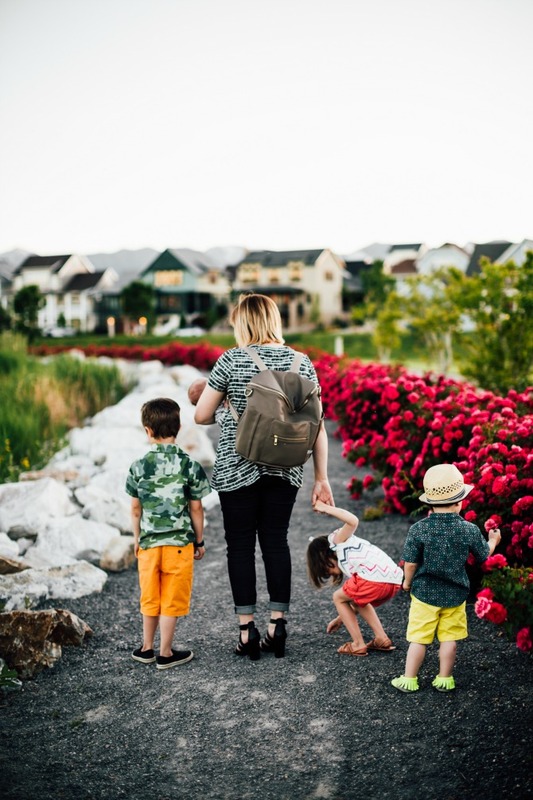 And for me personally, I just love any diaper bag that can be worn as a backpack because it allows me to move with ease no matter what crazy thing may come my way when out and about with my kids. Whatever diaper bag you get, if you choose one that goes with your lifestyle and absolutely love, then you simply can't go wrong. 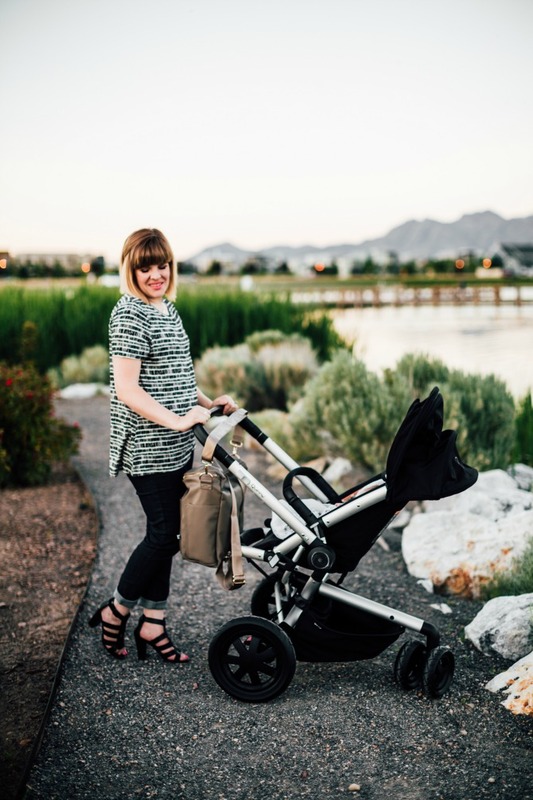 Mommy Must-Haves Feature: Quinny Buzz Xtra Stroller + a GIVEAWAY! Quinny Stroller of choice, Fawn Design Diaper bag of choice, Solly Baby Wrap of Choice, Freshly Picked Moccs of choice, Gigi Pip Eve Fedora, and some darling rainbow tights and bandana bib set from Lunaby Baby! Killer giveaway, right?! If you're dying to get some of these products into your own homes, you can check out all the details over on my Instagram. Since the giveaway will be running for an entire week, I will be featuring one product from it each day and spilling my guts on why I simply can't live without it. 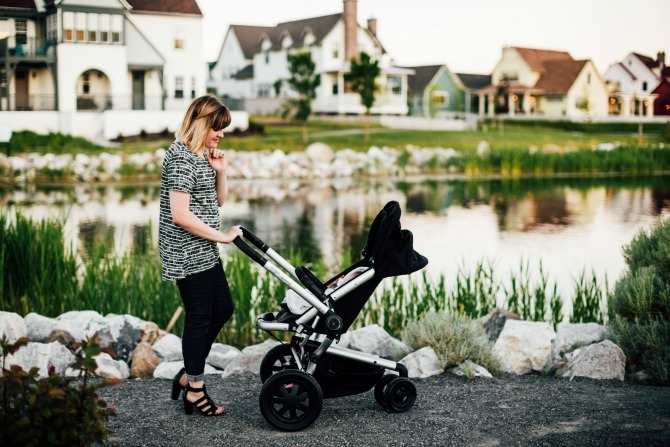 First up is the Quinny Buzz Xtra Stroller. Since having Isaac, I have had quite a few strollers. All of which were pretty mediocre because it didn't take long until something on them would break or they simply couldn't keep up with the day to day outings I would do with my kids. After putting up with those kind of things for over six years, I decided it was time to really do my research and the Quinny Buzz Xtra was the result. Guys! 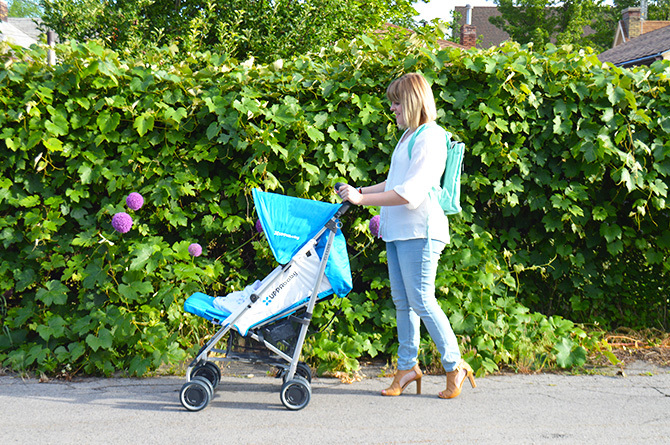 This stroller is amazing and I seriously never knew I could be this in love with a product! 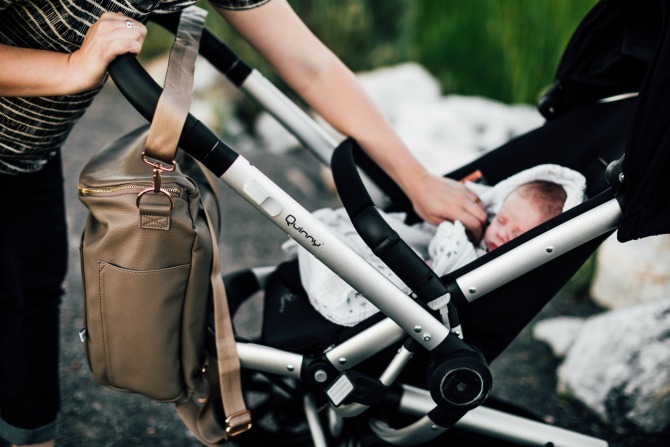 Thanks to it's incredible design, the Quinny Buzz Xtra stroller can literally be taken anywhere! Recently, my family and I went to a darling little lake community near our home and spent our time there walking down trails that ran along the shore, the lake dock, and other various paths that were scattered throughout the area. No matter what the terrain was, I could easily push this stroller around without any problems. Making it super easy for me to also chase after my kids when one of them would decide to go off and explore things on their own. Little stinkers! 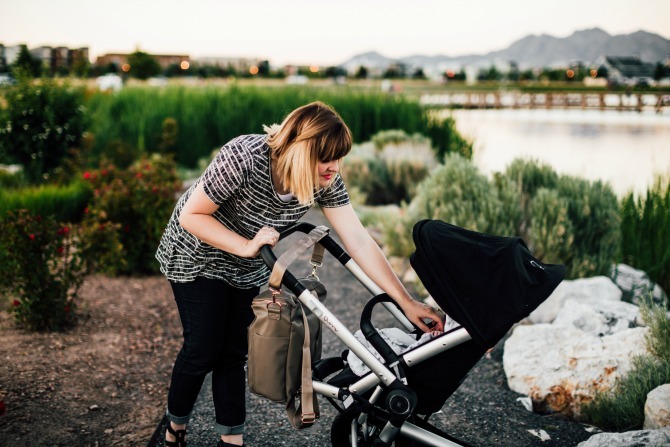 If purchasing a stroller is in your near future, then take my advice and look into this one. As Dave has recently been saying, "It's the Cadillac of strollers!" Haha! P.S. 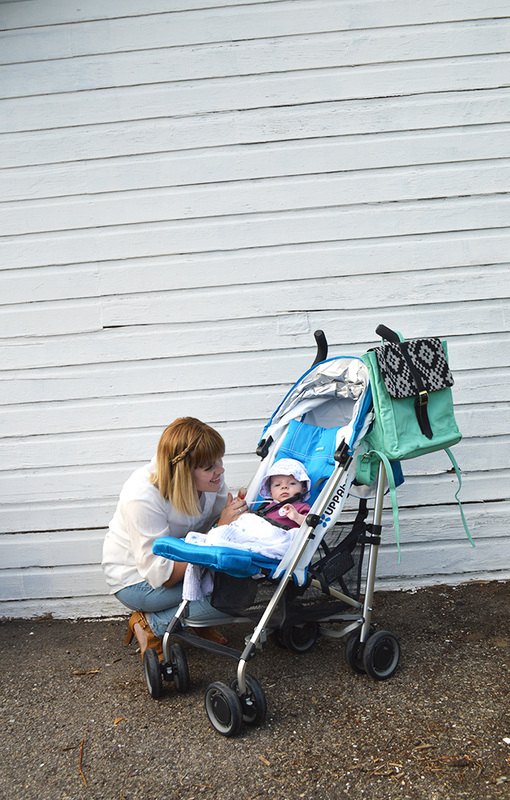 don't forget to stop by Alycia's website to see why she loves this stroller too. When summer rolls around, my kids know that road trip season is about to begin and eagerly anticipate all of the fun places we will go. This year, we are going on three different road trips and our longest trek will be to Yellowstone, Wyoming. And we will be going there twice! Something we are all really excited about but also something that Dave and I are super nervous about because it is such a long car ride for our wiggly kiddos. And though I know we could easily solve this worry by allowing our kids to watch movies and use smart devices, Dave and I decided that when it came to visiting places on the open road, our children would entertain themselves the same ways we did. Which means endless games of "I Spy", reading, radio karaoke, coloring, taking naps, pulling in at road stops to stretch our legs, and snacking...lots and lots of snacking. So, to help these road trips go as smoothly as possible, I decided to make a checklist of all the road trip essentials I thought my family would need. * Backpacks to store personal items in. * Travel size Pack n' Play-these are especially great for your baby when you need to stop and spend the night in a motel before continuing to your destination OR if you want to stop somewhere to stretch your legs and need a way for your baby to stretch out too. * Comfort item(s)-this could be a blanket, stuffed animal, etc. * A few new toys the kids have never played with-a good place to get these is the dollar aisle at Target or some place like that. * Lunch/snack boxes to store favorite personal food items in. 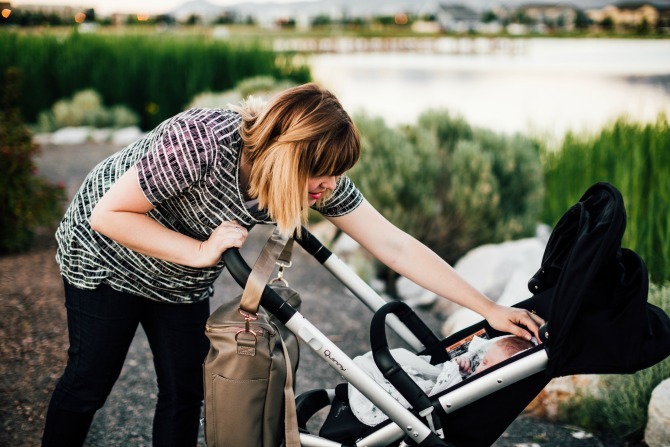 * Umbrella stroller-these are perfect for road trips because they take up less room in your car than your standard stroller; making room for your luggage. And, you can quickly open and close them; which makes getting in and out of your car that much easier. 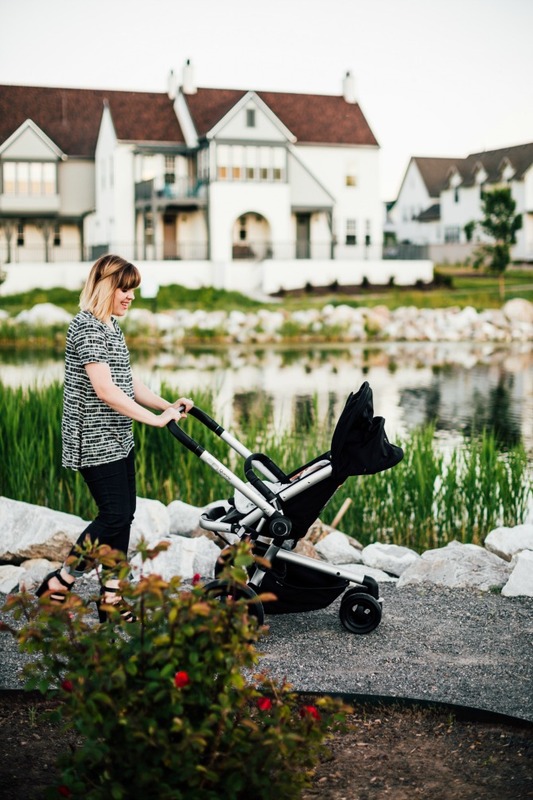 I'm currently loving the G-LUXE umbrella stroller by Uppa Baby for so many reasons! It contains a huge basket that I can easily store travel gear in, has an extendable SPF 50+ sun shade, stands when folded, and has easily removable fabric that can be washed when you get back from your trip. Plus, you can get an awesome Travel Safe Program , to go along with it, that will make summer travels worry-free! * Communal Snacks- These are snacks that everyone in the car shares. One thing I like to do with this particular checklist item is go to the grocery store with all of my kids and have them each choose out a snack to share with the rest of the family. * Garbage bags- road trips can really do a number on your car. So bring a few garbage bags to store all the garbage in and help keep your car clean. Traveling with kids will always have its difficulties, but I have come to love the trips I take with my sweet littles because I always end up seeing things in a very different and beautiful light. P.S. 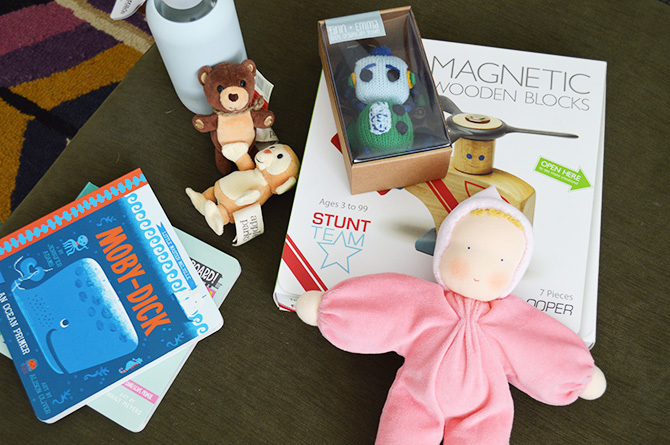 I got a huge majority of our road trip items from Sprout San Francisco. 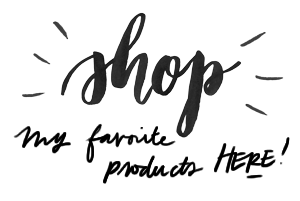 This store has quickly become a new favorite for me because they hand pick every item they carry to ensure parents get their kids the safest and healthiest products that are currently on the market. So I know I never have to worry or wonder when it comes to the purchases I make there! Since moving into our new house, any sort of routine we used to have has gone with the wind. haha. But seriously. While I was pregnant with Benson and we were living in our previous rental, I had the time to wake up before my kiddos did and whip up a batch of Great Grandma Messervey's buttermilk batter that would then morph into either waffles or chocolate chip pancakes depending on what everyone was feeling like that morning. But, over the last few weeks, everything has changed. With a kitchen that is still out of sorts, a house that has unpacked boxes in every room, little ones that need help adjusting to a new home, and a newborn baby that just does everything a new born baby should do...preparing a healthy breakfast for my kids has been the furthest thing from my mind. But I am determined to get things, like breakfast, back on track and life back to some sort of normalcy. Even if that means I have to put some of the unpacking on hold for a bit. Plus, I'm so over the whole moving thing that I could use a little bit of break anyways! 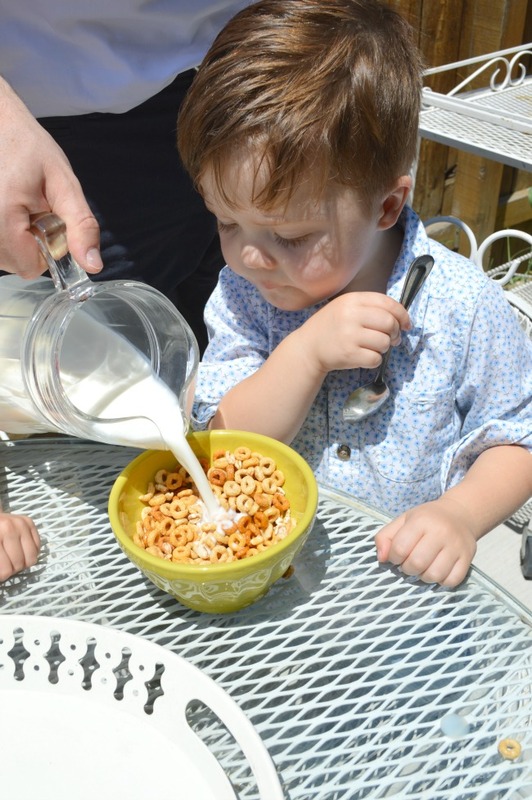 One thing that all of my kids love to eat, is cereal and milk. Growing up, my mom stocked our cereal cupboard with a variety of cereals. Including a few of our favorite sugar cereals as we called them. But one cereal that was, and still is, in that cupboard was Cheerios. As a kid, I hated eating this stuff plain. So my mom always let me add a little bit of sugar to the mix to sweeten things up. Fast forward to my college days and I find myself stocking my own cereal cupboard with Cheerios. Mostly because it was cheap. Haha! But also because I didn't crave the sugary cereals like I used to. And, instead of sweetening this stuff up with a tsp or so of sugar, I came up with idea to add various fruits like banana slices, strawberries, and any other sort of berry to act as a sweetener. Anyone else do the same thing?! Fast forward a few more years, and now I'm a mom with kids who constantly raid the cereal cupboard looking for a box of sugary cereal to chow down on. 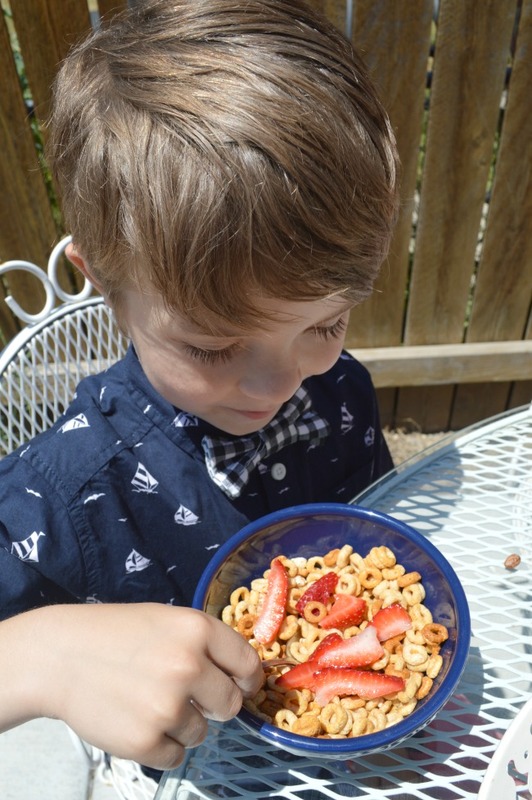 But, like my own mom, I want my kids to be as healthy as possible so I always tell my kids they have to eat a healthy cereal for breakfast and can then eat a sugar cereal as a snack. 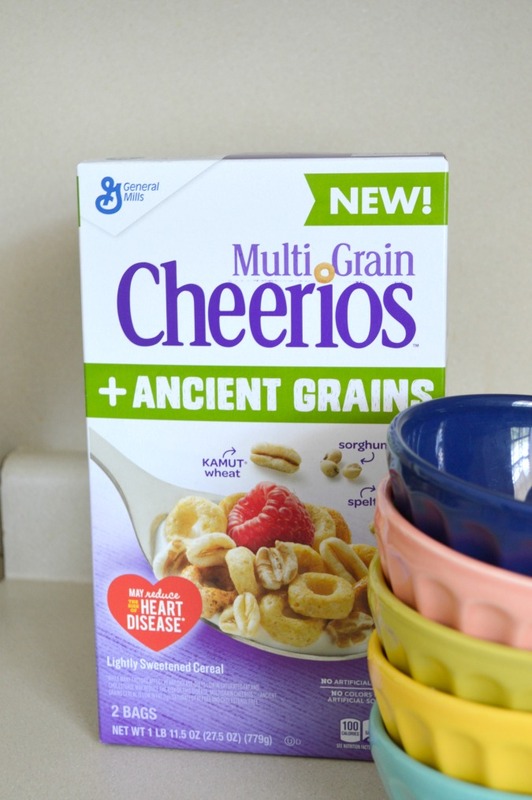 Currently, our favorite healthy breakfast cereal is Multi Grain Cheerios and Ancient Grains which I buy at my local Sam's Club. Yes, this stuff sounds uber healthy, which it is, but it also tastes really good! Plus, I just love the unique mix of grains in it like Kamut wheat sorghum. And surprisingly, so do my kids! Which makes this an awesome and easy healthy breakfast option for my family. So you can bet that this cereal will take up a permanent residence in our cereal cupboard! 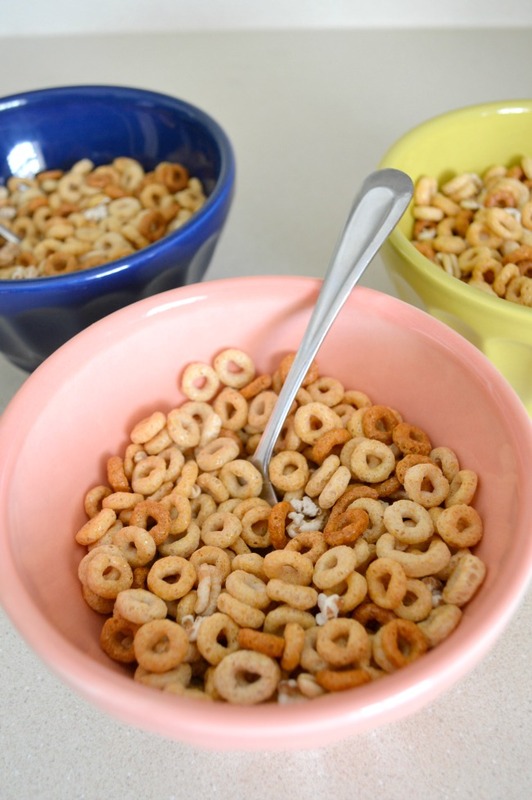 And, just like I love adding things to my own bowl of Cheerios, so do my kids! 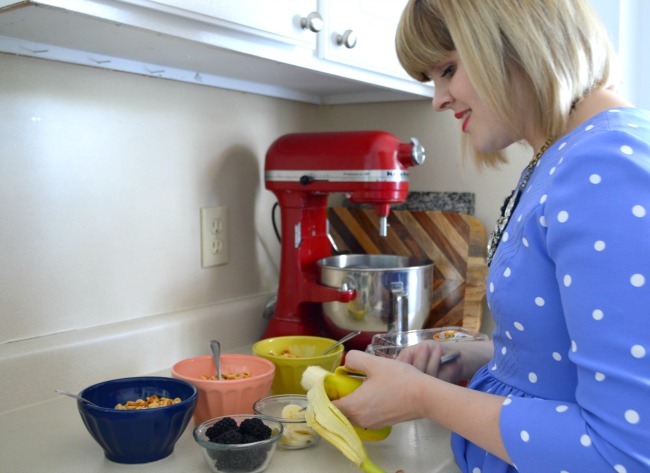 Our current favorites to add are blueberries, strawberries, bananas, and blackberries! This has become a very new favorite of ours! We just love the extra crunch and flavor this brings to our cereal. 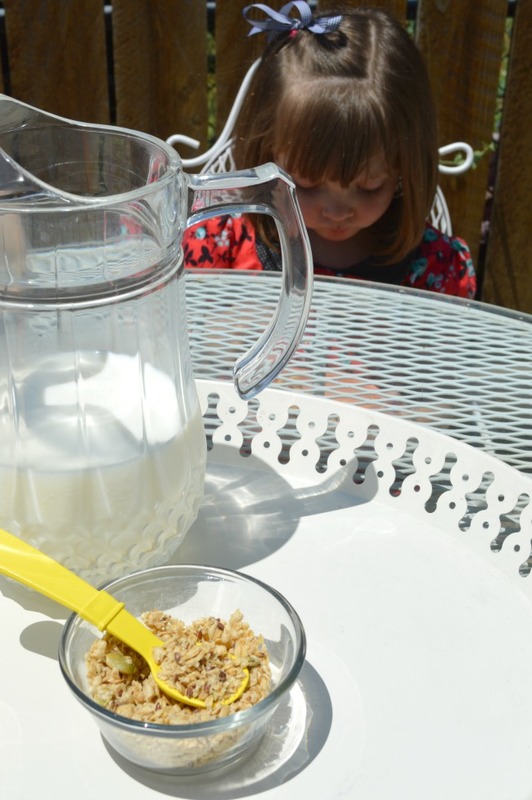 Instead of adding a teaspoon (or sometimes more :) ) of sugar to our cereal, my kids have loved drizzling some honey or Agave over the top of their cereal. Yum! Even though a bowl of cereal isn't the same batch of homemade waffles, it is definitely a yummy alternative. Especially when we're eating our Ancient Grains Cheerios with our favorite add-ins! So here's to eating healthy and keeping mama somewhat sane! haha! P.S. you can check out some of my other favorite breakfast recipes (healthy and non-healthy) HERE and HERE. This is a sponsored post by Ancient Grains Cheerios. Thanks to all the brands out there who help keep this blog running! 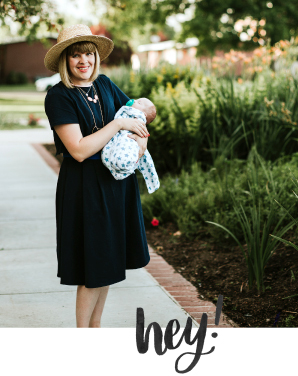 When I got pregnant with Benson and realized that I would be having him just before summer started, I was suuuuuuper excited because being pregnant during a hot Utah Summer is the worst! But, my excitement quickly faded because I then remembered that I would be having a baby just before swim suit season began. Insert OMG emoji. Haha! As much as I would love to have one of those bodies that barely looks like I had a baby right after pregnancy, that is not my body type. It usually takes my body a good full year to get back to "normal" and that's totally O.K. for me. Sure, I would love to loose the baby weight a lot quicker, and definitely could if I spent a lot of time at the gym and put heavy restrictions on my diet. But, I'm one of those people who would much rather be spending my time enjoying my sweet little newborn instead of stressing over how many pounds I lost. So, I make sure to eat healthy, keep my postpartum body moving, and educate myself on the clothing that flatter my body type the best. And swim suits are definitely one of them. Luckily for myself, and all you other mamas out there, swim suits come in many different sizes, shapes, colors, and patterns. Which means our options really are endless when it comes to finding the best best swim suit for our body types. 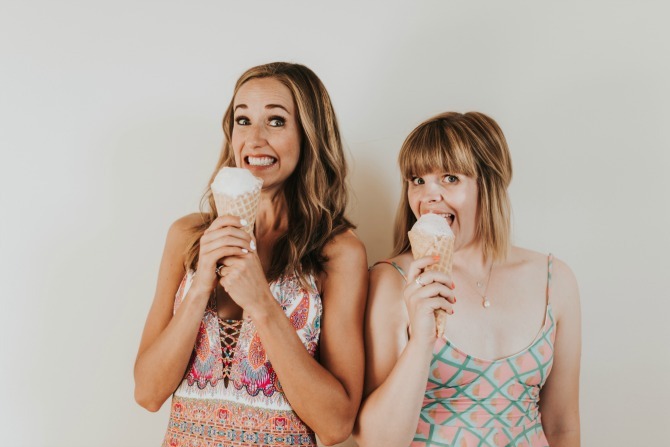 And, since there are so many different body types out there, I teamed up with my good friends Emily and Keara to talk about how we select the perfect swim suit for our bodies and learn to love ourselves in it. So make sure to visit Emily and Keara's websites to see what they have to share too! 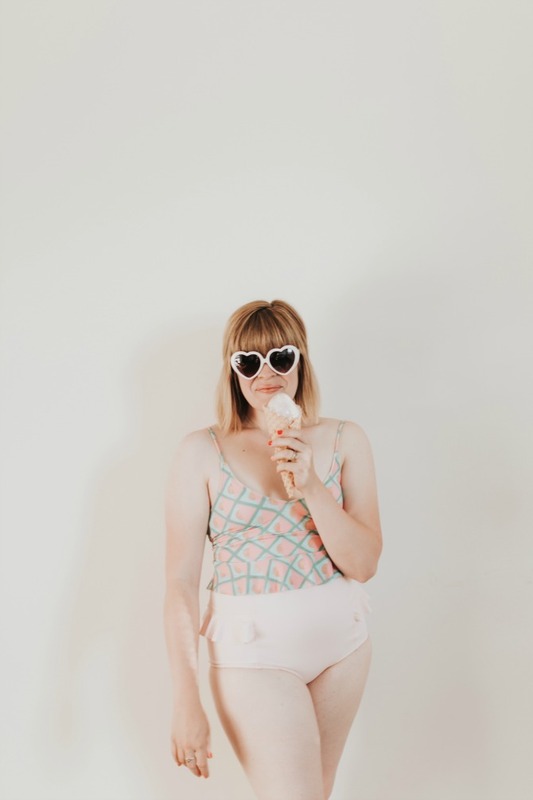 As for myself, here's a guide to how I select the best bathing suit for my body type. 1) Find a store that gives you swim suits options. 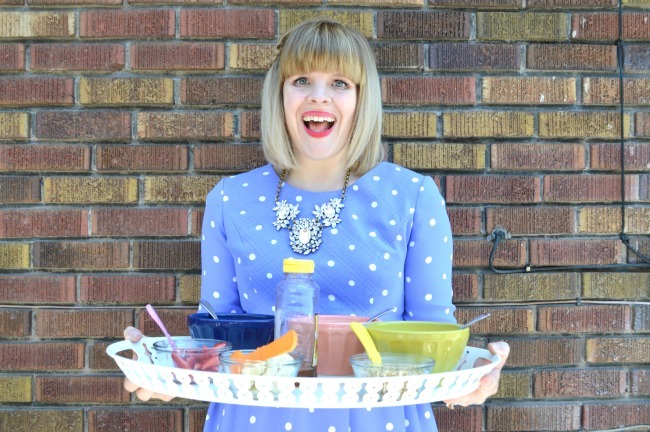 Thanks to motherhood, jobs, and just life in general, us gals are always on-the-go these days. And since our time is precious, the last thing we want to do is spend it running around from store to store to find the perfect swim suit. Sure, you could save yourself some gas mileage and just order online. But then you miss out on the opportunity to try things on. 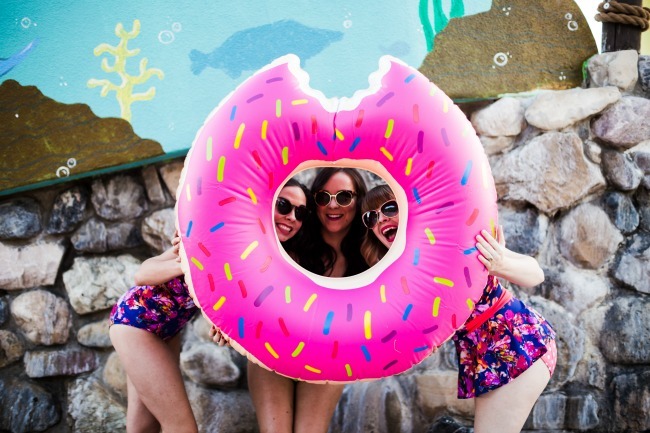 Which I think is a crucial step when it comes to finding the best swim suit for your body type. My favorite go-to store for swim suits is Lime Ricki. This shop really does have everything under the sun when it comes to swim suit options. 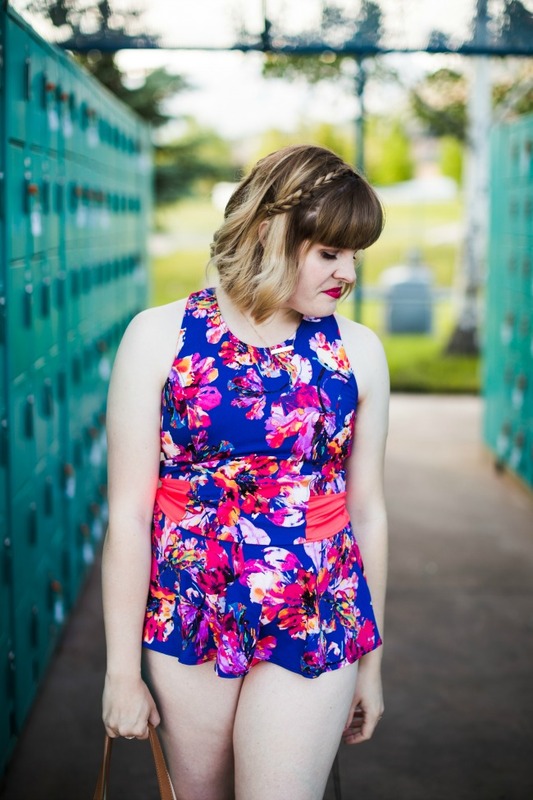 So no matter what your body type may be, you will leave their store with a swim suit that you absolutely love! 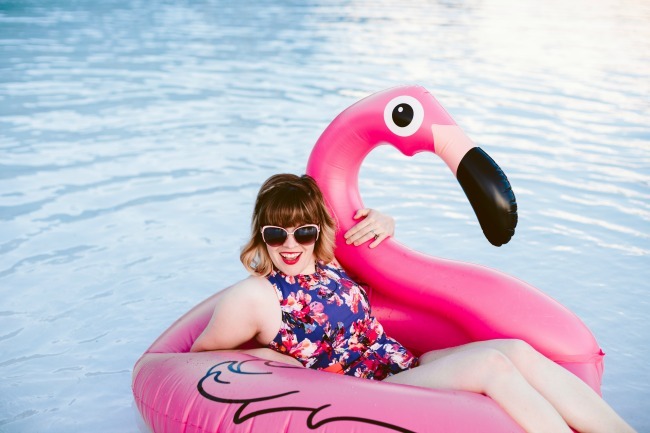 When it comes to finding the best swim suit for your body type, it's important to know what type of body you have. 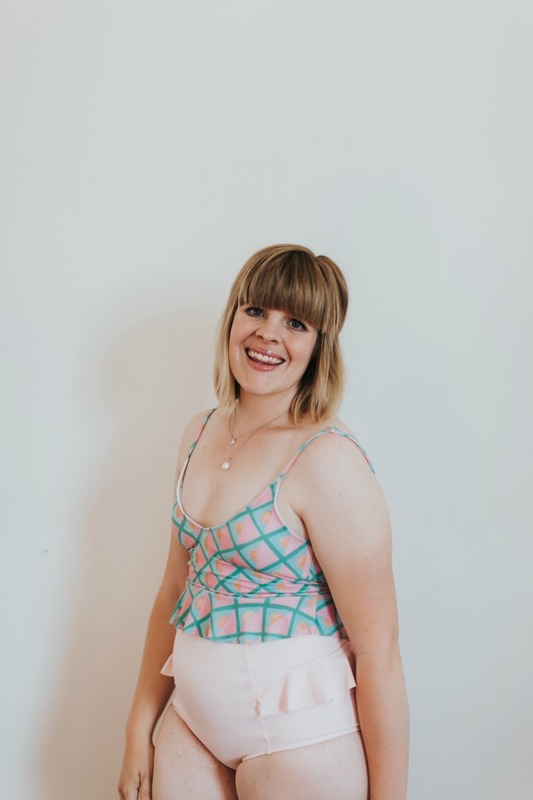 And, if you aren't quite sure what your body type is, you can easily look up a body chart in your search engine to figure that out. Once you figure that out, you can then begin to look up the best styles of swim suits to wear for your body type. For me personally, I have learned that my body is a definite pear shape. 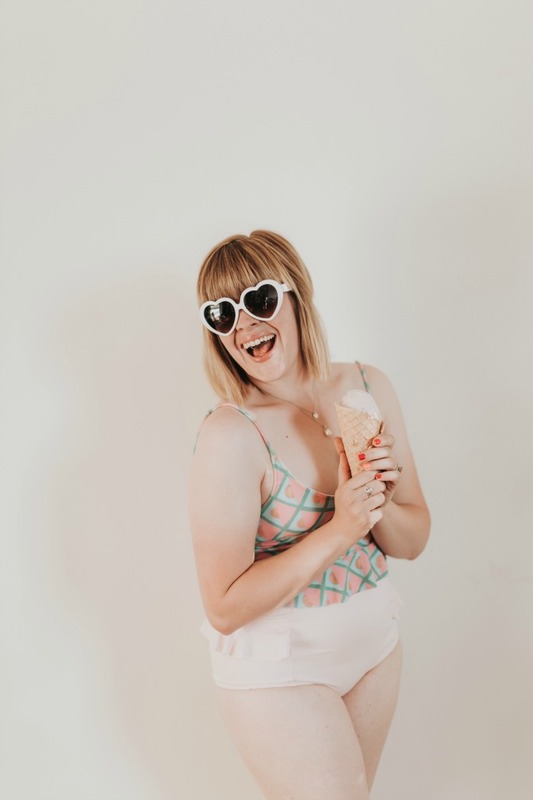 So when it comes to choosing a swim suit, I go for the tankini style; choosing a top that has some sort of ruffle or ruche detail that flares out from my mid section and a complimentary pattern that help keeps the focus off of any areas I'd rather not have any attention on. 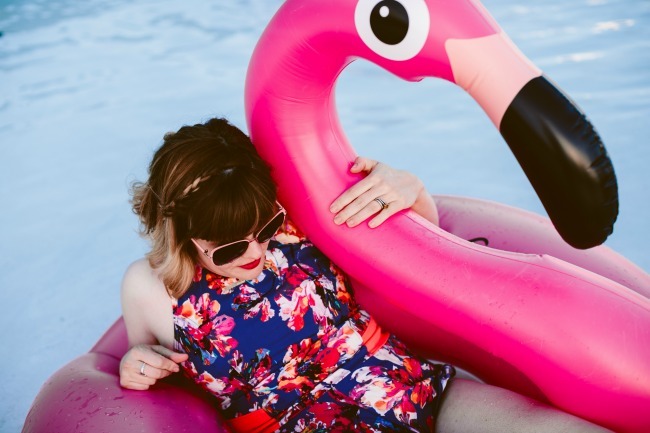 Finding the best swim suit for you body type takes time. So be patient and don't give up! I usually have to try on 5 or 6 swim suits until I find one that I know I can wear with confidence. 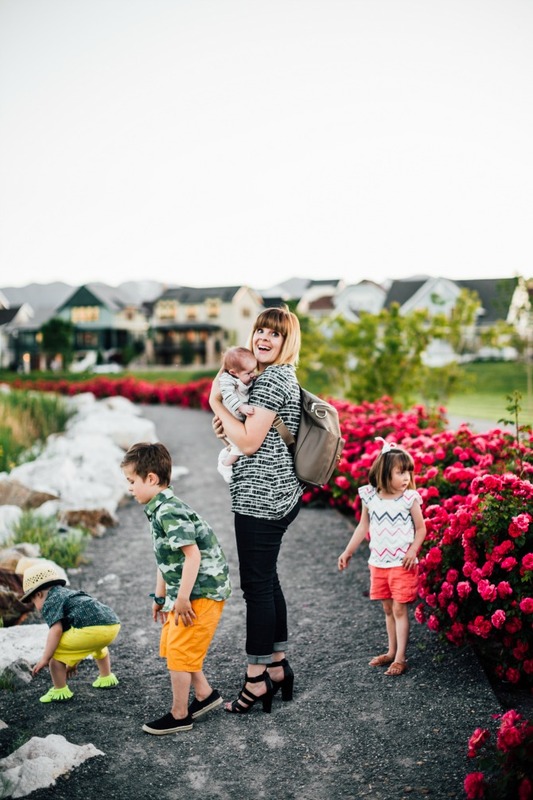 Being a mom to four little kids, I am constantly looking for different ways I can save money and make my dollar stretch the furthest it possibly can. But, every now and again I throw my money saving rules out the window and splurge a little because I believe there are certain things in life that you just shouldn't buy at the cheapest price possible. Swimming suits are one of these things. There are few other body hugging and body revealing items many of us are willing to wear out in public. So don't feel bad about spending the extra money on swim suit that is going to make you feel your absolute best when you step out to soak up some sun and flaunt your stuff! 5) Love the skin you're in! I simply can't say this enough! It took me a long time to get to this point myself. And there are still days, especially right now, where I find myself looking in the mirror and wishing certain things on my body were different. It is something I think we are all guilty of. I mean, we're only human...right? But, when you learn to accept and love your body just the way it is you are able to let go of any stress, sadness, anger, etc. that comes with this and just enjoy the summer! Plus, you gain a whole lot of confidence which is also ah-mazing! 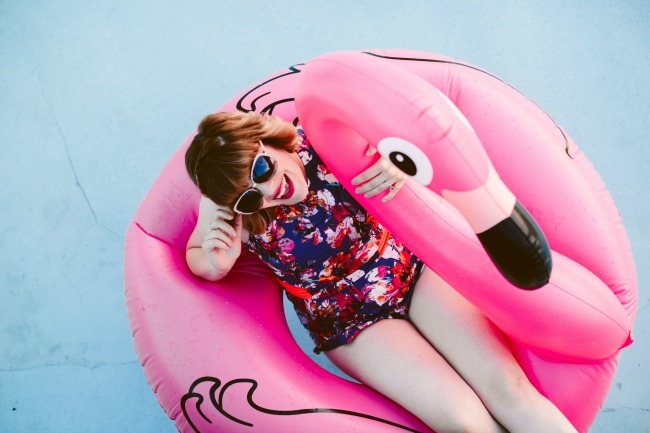 Finding the perfect swim suit for your body type can be hard, but it can be done! 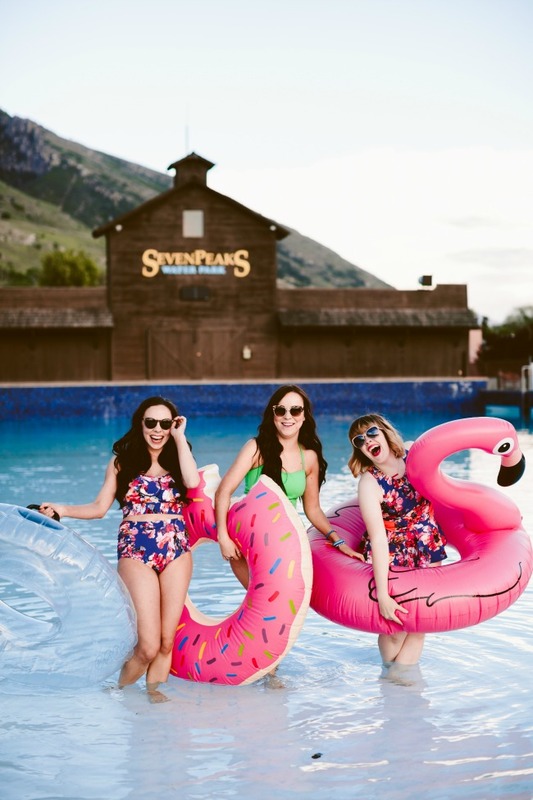 And to help you out in this process...I have teamed up to do a HUGE giveaway with Lime Ricki and Seven Peaks (my favorite water park!) so make sure to stop by my Instagram TONIGHT at 7 pm MST to enter!